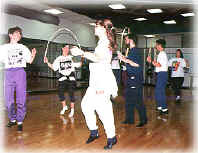 For the last fourteen years Zenbat Gara has held its rehearsals on Friday evenings. 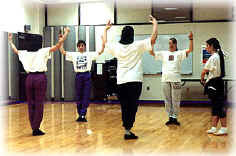 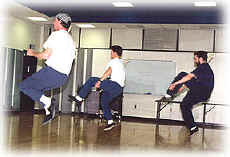 Sessions usually last two hours and consist of strengthening and technique exercises, stretching, center work, learning new steps and combinations, and finally rehearsing specific dances and suites for performance. 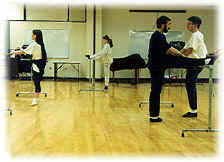 This is followed by cooling down and planning where to go afterward for pizza or other replenishment.